What happened in the past 50 years? What led to GMA News being the leader in its field? Join the Philippines’ most awarded broadcast journalist Jessica Soho as she traces the roots of GMA News and shares how the stories it produced impacted on the public. By tracking items involved in news events, Jessica revisits some of the stories GMA News did in the past half century. The year when Fidel Castro assumed power, Soviet premier Nikita Krushchev toured the US, Tibet’s dalai lama escaped to India, and the USSR’s Lunik III photographed the dark side of the moon for the first time. It was a year of new beginnings. It was then that GMA News was established. GMA News is now known as the most respected Philippine News organization garnering local and international awards not only for its newscasts but also for its anchors. It has set trends as to how news is produced and delivered. From a simple one-man-show, the organization has grown to more than 300 personnel. Set eyes once again on the “Pope Mobile", the vehicle Pope John Paul II rode when he visited the country, and witness one of GMA News’ landmark coverages. Check out the equipment used to mount GMA News Live, the first news bulletins in the country aired throughout the day, produced to keep the public aware of the latest updates on the Persian Gulf War in 1991. Learn about important stories produced with the two electronic news gathering vans first used by Jessica and Arnold Clavio for their coverage’s as remote reporters of the 15-minute afternoon newscast Saksi back in 1995. 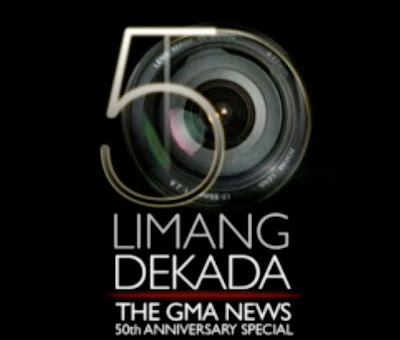 Travel back in time and learn about how GMA News put 50 years of history on air.